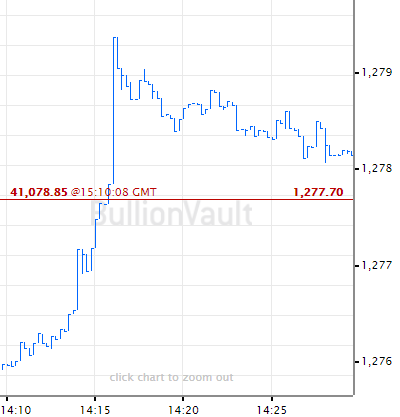 BUY GOLD prices slipped on Monday in London as world stock market rose on the first day of April following stronger-than-expected data from China, writes Atsuko Whitehouse at BullionVault. That slight recovery contrasted with the weakest manufacturing activity in the Eurozone, the world's largest single economic bloc, since 2013. 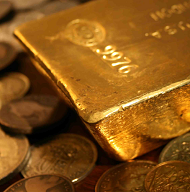 The US and China meantime reported progress in their ongoing trade talks, while bullion industry experts predicted that demand to buy gold will hit a 4-year high in 2019. Gold prices edged down to $1290 but held $5 per ounce above Friday's 3-week low as the Dollar Index of the US currency against a basket of six foreign counterparts slipped for the first time in a week. Silver was down 0.2% from last Friday's close at $15.09 per ounce, while platinum prices fell 0.3% to $847 and palladium steadied at $1382 after plunging more than 11% last week from a new record high above $1600. Major government debt prices also fell back with gold buying prices, driving the yield on 10-year US Treasuries up to a 1-week high at 2.44% on the fastest rise in a month after China's official purchasing managers' index (PMI) showed factory activity unexpectedly grew for the first time in four months in March. A private business survey – the Caixin/Markit PMI, released on Monday – also showed the manufacturing sector returning to growth. "Though Asian PMIs have demonstrated for respite in the current term, we opine that a synchronized economic slowdown remains in place," Singapore brokerage Phillip Futures says. "The precious metal though facing bearish pressures will receive strong support from growing economic headwinds." 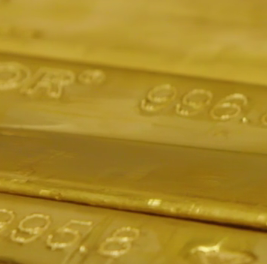 A recovery in global jewelry sales means total demand to buy gold in 2019 will reach the highest in 4 years, this week's new Gold Focus 2019 from specialist consultancy Metals Focus will say, according to Reuters. Predicting end-use demand of 4,370 tonnes of gold this year, the most since 2015, Metals Focus says prices to buy gold will average $1310 an ounce in 2019, the highest since the crash of 2013. 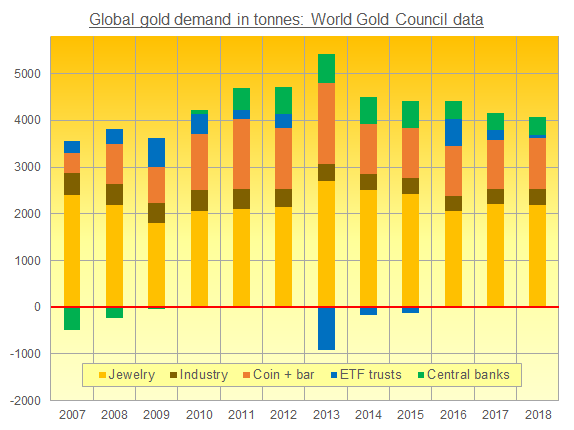 Outside of strong central-bank purchases, last year saw the weakest demand to buy gold since at least the global recession of 2009 on Metals Focus' data. 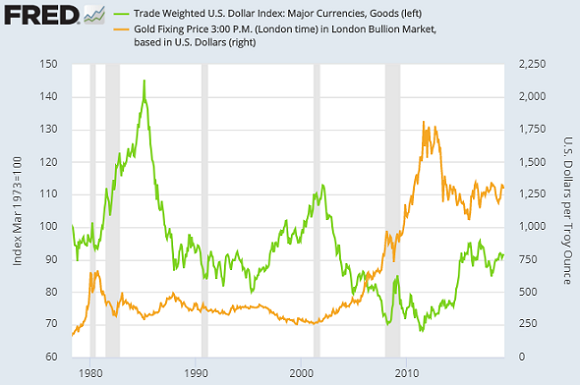 "Helping gold prices to rise would be the end of interest-rate rises by the US Federal Reserve, along with political and economic uncertainty around the world," the report says, adding that a strong Dollar will limit gold's rise. While China's manufacturing activity crept back above the key 50.0 level signalling expansion last month, Monday's new monthly figures for Europe came in at the lowest since 2013 on the Markit PMI survey, with powerhouse Germany's manufacturing sector contracting at its fastest rate since July 2012. Inflation in the 19-nation Eurozone also slowed hard in March, with the pace of growth in 'core' living costs dropping to 0.8% per year, the slowest since last spring. Prices to buy gold for Eurozone investors held flat around €1150 per ounce, but the UK gold price in Pounds per ounce fell to 1-week lows at £985 as Sterling rallied ahead of yet more Parliamentary votes on Brexit – now delayed from last Friday by lawmakers' failure to agree on any kind of plan. After 3 solid rejections by lawmakers, Downing Street has made it clear that Prime Minister Theresa May will bring her Brexit deal back to the Commons for a last-ditch attempt to secure approval. An emergency summit of EU leaders is also now scheduled on April 10 to try avoiding a no-deal Brexit on April 12, the last extension before the UK would need to join the remaining 27 member nations in holding EU Parliamentary elections. Turkey's President Recep Tayyip Erdoğan today suffered a setback in regional elections as his ruling AK Party – winner across the last 17 years – was defeated in Ankara and some major coastal regions. The 5th heaviest private gold-buying nation, consumers in Turkey today saw their Lira currency drop hard on news of the opposition MHP's victories, pushing back up towards late-2018's new all-time record highs. Prices to buy gold with Japanese Yen meantime edged higher to ¥4,609 per gram on Monday, recovering from the lowest weekly close in nine as Tokyo announced that its new imperial era – set to begin on May 1st when 85-year old Emperor Akihito abdicates to make way for Crown Prince Naruhito – will be called Reiwa, meaning "good fortune with harmony".